The rains are yet to come. Two consecutive years of prolonged drought caused by El Niño have resulted in increasingly dire food shortages in as many as 17 countries in Africa of which conflict-ridden Somalia and South Sudan are among the hardest hit. While in South Sudan the current conditions are largely man-made due to the continuing armed conflict and atrocious systematic and orchestrated human rights violations uprooting people and their livelihoods, in Somalia the lack of precipitation has caused widespread drought which in the conditions of continuous insecurity is causing famine. The population in other, mostly East African, countries has been suffering from the drought as well. 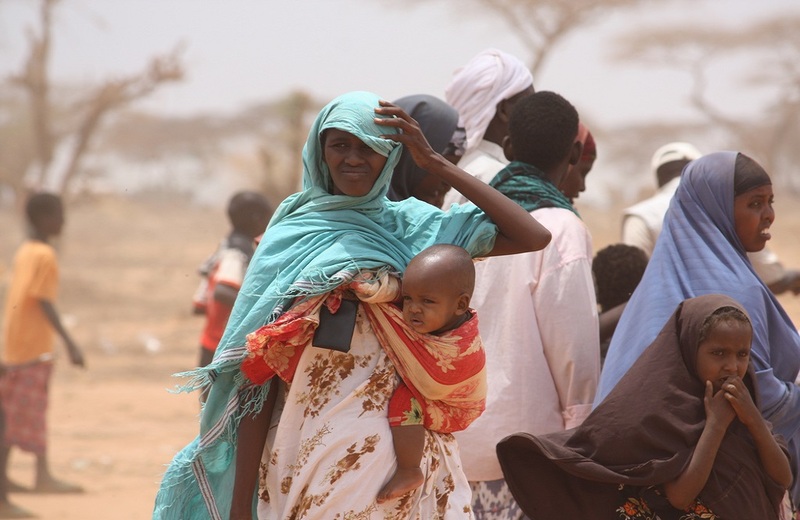 For example, Kenya’s dry areas in the north, most of Ethiopia’s borderlands are in urgent need of support, Eritrea’s situation is likely to be far worse than understood, and countries like Sudan, Tanzania, Mozambique, and Zimbabwe are all severely affected. It is well-understood that recurrent drought in the Horn of Africa results in deteriorating conditions. The issue is largely the consecutive years of drought which before recovery result in spiraling deterioration. The lower availability of food cause higher prices, which however tend not to decrease to pre-drought levels once the drought subsides. The trend of high inflation in food prices is a concern, particularly where the salaries do not match the increasing cost of living. In addition, outlying drought-prone areas are often hit the hardest in part because their continuous food supply is not prioritized by the governments. This is an issue that the governments need to tackle not only due to the acute conditions during drought but because ever-rising food prices are unsustainable and hinder development and economic growth in the long term. Moreover, people’s increasing hardship is a real threat to stability and for the long-term survival of the political status quo. A number of remedies to improve the situation have been suggested. Among them is the African Union recommendation for the countries to spend fifteen percent of their annual budget in agriculture, to improve national strategies, and devise coping mechanisms to deal with the recurrent climate change produced drought, while better facilitating the trade and distribution of food to ensure continuous flow especially to the drought prone areas. However, most governments have been slow to adopt consistent measures to address the issues of recurring drought and fast-increasing food prices. Some might see this as somewhat deliberate in the situation in which resources to address food crisis situations largely come from abroad. Yet, food security should be prioritized in order to ensure sustainable economic growth and political stability.